Matt Milner is an independent consultant and trainer who, from the early days of the internet, was building websites and databases to help organizations manage their business. Over the years he has built numerous systems using web technologies such as ASP.NET and integration technologies including BizTalk Server, WCF, WF, and yes, even MSMQ. Currently Matt splits his time between building applications and teaching other developers about the latest Microsoft technologies including Azure, Windows 8 and Web API. 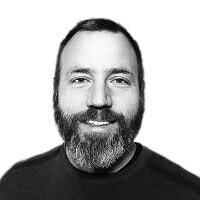 In addition to creating training videos for Pluralsight Matt contributes to the community by speaking at code camps, user groups, and international conferences including Tech Ed, Dev Days, and DevWeek.